New research analysing the alcohol consumption habits of more than 100,000 Australians over a decade has found that regular binge drinkers are up to 30 per cent more likely to commit drink-driving offences, vandalism or violence. Analysing data from the Australian National Drug Strategy Household Surveys (NDSHS) during 2001-2010, Monash University researchers found that binge drinkers were significantly more likely to engage in antisocial behaviour than other drinkers. The researchers model shows that, of the Australian drinking population included in the survey, frequent binge drinking is associated with more crime and anti-social behaviours, including drink-driving (17 per cent more), public disturbance/nuisance, damage to property or stealing (4.2 per cent more) and verbal or physical abuse (11.8 per cent more). In line with the 2001 NHMRC definitions of binge drinking, the study found nine per cent of the Australian drinkers are frequent bingers and 43 per cent binge drinkers. According to 2001 NHMRC guidelines, binge drinkers engaging in medium to high risk drinking are men or women who consume seven, five standard drinks a day at least once in 12 months. 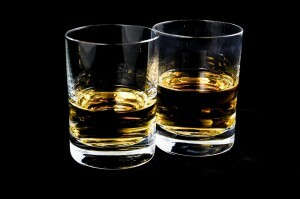 Frequent binge drinkers are high risk drinkers defined as men or women drinking seven, five standard drinks in a day at least once in a week. Professor Xueyan Zhao, from the Department of Econometrics and Business Statistics at Monash University, said this means that for an average Australian drinker, the probabilities for these anti-social or unlawful behaviours among binge drinkers are doubled or tripled. “We have clear evidence that the act of binge drinking significantly increases the likelihood of people engaging in a range of alcohol related anti-social and unlawful behaviours,” Professor Zhao said. “What we’re seeing here is that binge drinking poses a significantly higher risk. Frequent binge drinking has been shown to significantly increase the probability for behaviours like drink-driving, public disturbance, damage to property or theft, and violence,” Zhao commented. The study also revealed that those most likely to be associated with public disturbance and verbal/physical abuse included males aged between 18-29, indigenous Australians, and those who were unmarried, unemployed or less educated. However, drink-driving is equally associated with all socio-economic groups including higher educated and higher income drinkers. Professor Zhao said that while the figures were concerning, the rates of these behaviours had since 2001 continued to decline. “There has been a decreasing trend since 2001 for the probabilities for all negative alcohol related behaviours,” Professor Zhao said. The only demographic group that seems to defy this trend is the 60+ age group. The probabilities for drink driving or other antisocial behaviours for both the male and female 60+ groups have shown a slight increase as the baby boomers enter this age band. The study was funded by an NHMRC project grant and is part of a broader research program by Professor Zhao and her team to provide evidence from data to inform alcohol related policies. The study, funded by the NHMRC, was undertaken by Professor Xueyan Zhao and Dr Ou Yang of Monash University and Dr Preety Srivastava of RMIT. The researchers previous work has looked at price responses in demand and the harms associated with 11 different alcoholic beverages (by types of beer, wine and spirits) to inform alcohol tax policies. The research has been published online by the Economic Report.